1. 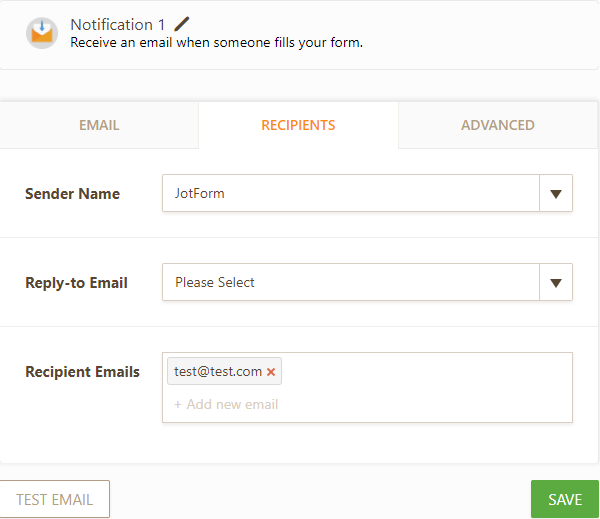 Click your form's Edit Form button. 2. Select EMAILS option in SETTINGS and click the plus symbol. 3. Select NOTIFICATION EMAIL on the coming page. 4. Click RECIPIENTS tab, fill this page and save.